Sha’ban is the eighth month of the Islamic lunar calendar. The name is derived from the root word ‘sha’ab’ which means to scatter or disperse. During the pre-Islamic period, Arabs used to scatter in this month in search of water. It is also said that they did that to make predatory incursions. This is because Sha’ban is preceded by the month of Rajab, one of the four sacred months of the Islamic lunar year, during which Arabs who lived before Islam did not use to commit such crimes. 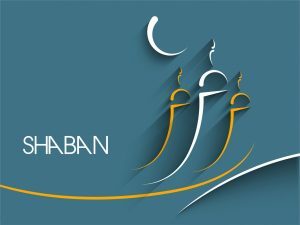 Sha’ban is followed by the month of Ramadan in which Muslims perform the fourth pillar of Islam i.e. Siyam (Fast). There are many other acts of worship whose performance is far more recommended in Ramadan such as performing the night prayer in congregation, reciting the Gracious Qur’an, giving to charity, etc. Thus, Sha’ban, the month that the Prophetic traditions point out that it receives less attention by most people, comes between two very important months whose virtues are very well known to many Muslims. Actions of people are submitted to Allah on a daily, weekly and yearly basis. That should help and encourage Muslims to increase their worship and overcome any shortcomings affecting their worship. It should be noted that Allah does know everything that happens in the earth and in the heaven. Nothing escapes His knowledge as He is all-aware of all that people do. Scholars said that this hadith is a proof that actions are presented to Allah daily. As for the reason for the question asked by Allah to the angels, it points out that there always are people who worship Allah sincerely along with the angels. Before Adam (peace be upon him) was created as a successor upon the earth, the angels thought he would spread corruption and shed blood. It becomes clear that those who worship Allah and refrain from committing mischief are the successful ones in his regard. This means they have succeeded in being good human successors upon the Earth. This Hadith stresses the importance of worshipping Allah alone and warns against committing any actions that are related to shirk (polytheism). It also encourages Muslims to maintain close links, to love each other, to care for each other, etc. This is how the Muslim community should look like. In Islam, there should be no room for heart’s bad qualities such as hatred, spleen, jealousy. Having purified their hearts and souls from shirk and other diseases, Muslims will have their sins forgiven and Allah’s mercy will shower them. Although his actions are perfect, Prophet Muhammad (peace and blessings of Allah be upon him) liked that his actions are presented when he is fasting. Many of the Muslims’ actions may harbor clear deficiencies. To make up for such deficiencies, Muslims are encouraged to observe those recommended acts of worship. Moreover, Muslims should be keen on emulating Prophet Muhammad so that they can have their sins forgiven. In fact, it is recommended to fast on Mondays and Thursdays and to fast many days of Sha’ban. Some scholars hold the opinion that the recommended fast during Sha’ban before the obligatory fast during Ramadan resembles the recommended prayer performed by Muslims before the obligatory congregational prayer. ‘A’ishah (May Allah be pleased with her) used to fast in Sha’ban the obligatory days she could not fast during the last Ramadan. There is a disagreement among scholars of Hadith concerning it. The great scholars Imam Ahmad ibn Hanbal, Imam Yahya ibn Ma’in, ibn ‘ady and Al-Shawkany declared this Hadith as weak. Other scholars such as Imam ibn al-Qayim and Imam Al-Albany hold the opinion that the Hadith is sound. In the latter case, the hadith is interpreted as to disallow the person to start to fast after the middle of Sha’ban. There is no problem to fast after the middle of the month so long as the person fasts regularly on Mondays and Thursdays or has fasted before the middle. The preferred opinion is the first one as the above mentioned Hadith is contradicted by the Hadith that prevent a Muslim to fast the last day or last two days of Sh’aban. They think that this is the 15th night of Sha’ban. This is not correct as the context makes it clear that this is the Ramadan’s Night of Majesty that marks the revelation of the Gracious Qur’an. In short, there are no special acts of worship that should be performed during that night or the following day the 15th. All the Hadiths that are mentioned in this regard are weak. If there is anything to be observed, it will be to fast most days of Sha’ban, avoid committing any acts of shirk and to purify one’s heart from hatred, grudge, enmity, and so on.